I think 1/4 of our university students are bitten by something. Common sense isn't so common anymore and hasn't been since that woman spilled coffee in her lap at McDonald's drive thru. Tearing down statues and stomping on their heads... It's almost out of control and headed one or two steps to somewhere worse. Could be... the ticks are sucking the brains out of some. It’s not about what you make, it’s about how much you spend, and that’s why California is nearly bankrupt. Sacramento spends like a drunken sailor on shore leave, with the state being 1.3 TRILLION in debt. Surprised they didn’t teach you basic mathematics in school. You can use that same chart, and see the progress under the last 2 presidents and now the current one. Hmmm, which years was flatter ? GDP is just one indicator of the strength of an economy. That alone is not everything that should concern us though, even though it is a biggie that effects many other areas. Nobody will argue Cali has a great economy in it's own right, just like we do as a country. However one has to ask....in both cases, where's the coin ? Is debt being paid down ? If not, why not ? Or are they both just looking for more ways to spend their new wealth ? I think we all know that answer. So when we go bust again, the pain will be that much greater. Please dispose all plastic straws onto Jerry Browns ranch! This was a fun read Thanks ! Hey, Jesse....I'll even throw in one of these for the Karma. This will round out the package, eh? 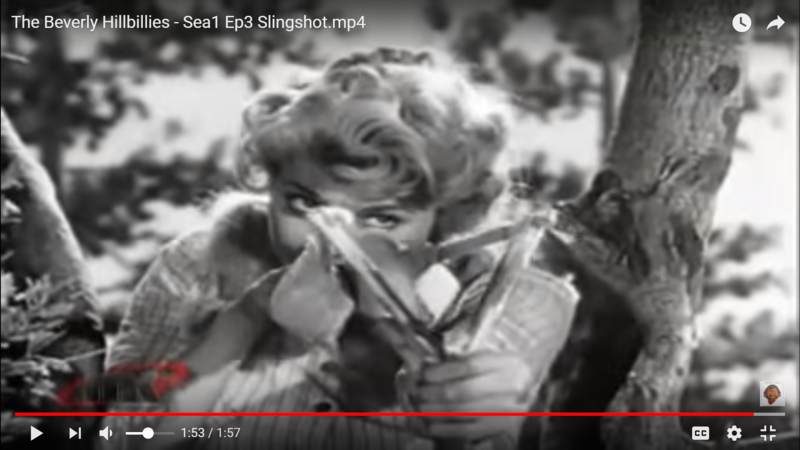 Just like Elly May Clampett's double-barreled slingshot. lace trimmed and it'll shoot a heap of rocks. This thread is almost as dumb as fox and friends...an inspiration I am sure. I guess you get inspiration from Joy Behar then? Don’t let your kid take that to school... they will get suspended real quick, and child protective services will be knocking on your door. 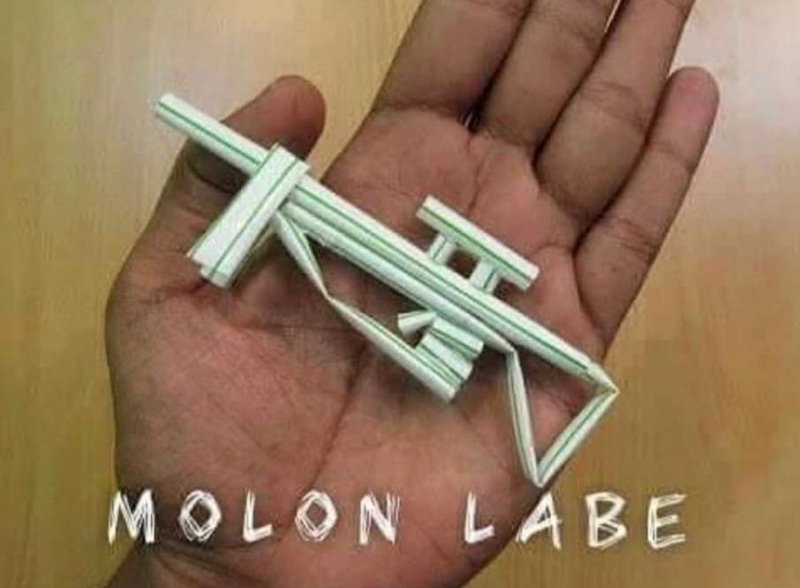 Here in California, straws need to be securely locked in a weapon safe, so you can bet the bureau of alcohol, tobacco and drinking straws will be kicking the door down as well. Thank gawd you didn't call it a "clip". Still smarter than you though. CA didn't actually ban plastic straws. They just won't give you one unless you want one. Which is fine. Sometimes I just don't want or need a straw in my water or stronger beverage. ^^Correct, but Fox News stated ban, so those that cant or wont read past the headline are going with ban. But you yourself called it a ban. Yep, that is exactly what Fox called it a" ban", are you arguing that fact? I know where you find your shiny objects. So, you admit you didn’t read past the headline. Don't worry, it's ok.